The Service Department at Subaru of Orange Park in Jacksonville, FL, realizes that when you buy a Subaru, you become a member of a huge family of auto owners who believe in looking out for each other. We include ourselves in that family, and we take pride in keeping our vehicles and your automobiles on the road for years to come. One of the easiest ways to avoid mechanical issues is to bring your vehicle in for its regular maintenance schedule. Oil changes, tire rotations, fluid flushes, tune-ups and more will keep your ride running in peak condition, and our service team is here to take care of those needs as quickly as possible. When problems do arise, you can count on us to diagnose the problem and get to work using state-of-the-art equipment and Genuine Subaru parts to make sure the job is done right and right on time. Our team of factory-trained technicians have extensive training at a Subaru facility that includes hands-on experience. 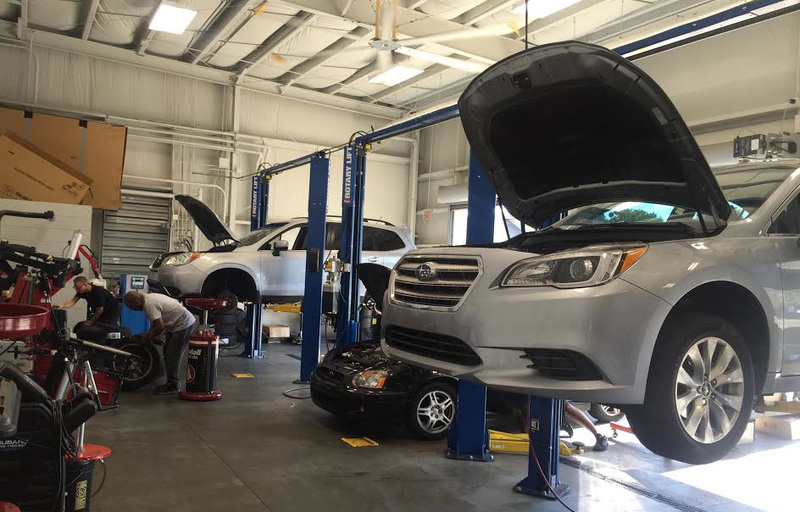 They have the know-how to service all the Subaru makes and models, but they also know how to provide the superior customer service you've come to expect from Subaru of Orange Park. With our exceptional team, you'll get honest assessments and thorough explanations that you can understand because our technicians make you their number-one priority. We're all about making things easy for you at Subaru of Orange Park. That's why we offer a convenient Service Concierge Program that provides pick-up and delivery of your vehicle or a loaner car service for major work. Plus, you can schedule your service appointment right here on the website, or feel free to give us a call at 888-686-8274 or visit us at 7023 Blanding Blvd., Jacksonville, FL 32244. We look forward to keeping you on the road for a long time!